When I first saw the theme for Thursday I was very excited. I could post my review of The Winter Sea by Susanna Kearsley again. Just because it would be third time on this blog, plus at least once at Historical Tapestry doesn't mean overkill does it? Then I thought for a few minutes more and realised that perhaps would be a bit better if I just left a link to my review of The Winter Sea - also known as Sophia's Secret in some places - because seriously people should read this book. It is going to be released in the US later this year, so there will be no excuses! So instead I am going to review another book by Susanna Kearsley, The Shadowy Horses, and thanks to the generosity of Susanna Kearsley, I have a worldwide giveaway of two copies! To enter the giveaway please complete the form at the end of the review. With its dark legends and passionate history, the windswept shores of Scotland are an archaeologist's dream. Verity Grey is thrilled by the challenge of uncovering an ancient Roman campsite in a small village. But as soon as she arrives, she can sense danger in the air. Her eccentric boss, Peter Quinnell, has spent his whole life searching for the resting place of the lost Ninth Roman Legion and is convinced he's finally found it - not because of any scientific evidence, but because a local boy has 'seen' a Roman soldier walking in the fields, a ghostly sentinel who guards the bodies of his long-dead comrades. Surprisingly, Verity believes in Peter, and the boy, and even in the Sentinel, who seems determined to become her own protector...but from what? 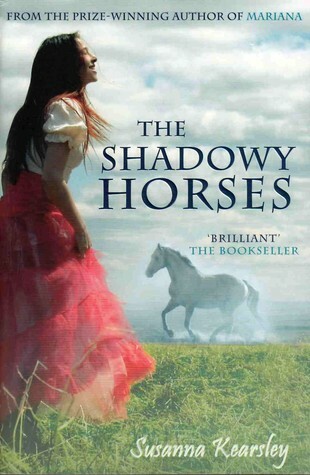 Originally published in 1998, The Shadowy Horses has recently been re released in the UK by Allison & Busby. After first discovering Susanna Kearsley when I read and adored The Winter Sea, I promptly set out on a quest to read my way through her back list. I had read and thoroughly enjoyed Mariana and this was the next book I picked up. When I started it, I was expecting something a little paranormal, most likely some time travel, a somewhat romantic storyline, and a darned good read. Whilst I did get most of these elements - this was more a ghost story than time travel - there was a also a suspense filled plot. Once again I was lost in the world that this author has created. Verity Grey is an archaeologist who lives in London. She is looking for a change in her life, and so when she is invited to participate in a dig at a property on the Scottish coast, she is tempted by the offer. The only thing is that she isn't told very much about either the dig or her prospective boss when she heads up to the small fishing village of Eyemouth to take a look around at the invitation of her former boyfriend Adrian, who also works on the dig. On the way to her destination she meets David Fortune, part time archaeologist and part time university lecturer, and a man who is very protective of Peter Quinlan, the man who would be Verity's boss. Quinlan's life long passion has been to find evidence to help solve the mystery of what happened to the lost Ninth Roman Legion. Within the archaeological world, Quinlan has a reputation of being somewhat eccentric, and to a degree is shunned, and that isn't likely to change given that his dig at the location is based purely on the experiences of a young boy, Robbie, who has 'the sight' and who believes that he can see the ghost of a legionnaire, known as the Sentinel. Verity accepts the job knowing that she can't stay away from the dig, from Scotland and increasingly from the somewhat distant David Fortune, but when things start going wrong at the dig, it appears that someone is trying to sabotage it. Could it be Adrian, could it be other archaeologists, or could there be something else at play? And why does the Sentinel seem determined to protect Verity from some unknown danger? Verity must work out if her boss is a little mad, or if maybe, just maybe, he has finally found what he has been working for all these years, find out what actually happened to the Sentinel, and work through her feelings for David, all the while knowing that someone is becoming increasingly desperate to stop the dig from going any further. For all the archaeological focus of the novel, the author did a fantastic job of keeping the technical jargon accessible, but without dumbing it down too much. Once again I opened up the pages of a Susanna Kearsley and found myself immersed in the world that she has created. I did ask her at one point if she could maybe create me a hero who works in Human Resources/Payroll, because all of her leading men so far have been very dreamy characters. Not sure how she is going with that request though! Whenever I see Susanna Kearsley compared to another author, it tends to be Mary Stewart. I haven't read any Mary Stewart, but if she writes anything like Susanna Kearsley then I know that I am guaranteed some good reads. 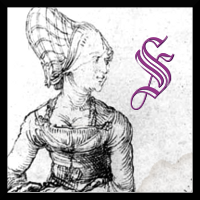 This post is also my entry for the letter S in Historical Tapestry's Alphabet in Historical Fiction. I missed R, so I wanted to get in early for the next letter! I've been wanting to read this one for a long time. I've entered and will keep my fingers crossed. My mother read it earlier this year and really enjoyed it and it does sound good. Good luck Kerry! So far I have enjoyed all the Susanna Kearsley books I have read! This sounds great; even if I don't win, I'm going to hunt down this book! This does sound really good! Thanks for offering the giveaway! You have just reminded me of how much I like The Shadowy Horses. It is the Susanna Kearsley novel I like best: fresh-voiced, with a capable and likeable heroine, the fascinating setting of an archaeological dig, and a plot that combines past and present in an intriguing, touching mystery. But that cover with the woman in the long, red skirt is a strange marketing choice since this is contemporary fiction, and the element that deals with the past involves Roman times! Sounds like a great book. I'ver never heard of it, but will look out for it. This is a new to me book but it sounds absolutely wonderful! THanks for the giveaway. If I don't win, I'll buy it on my own. I hadn't heard much about this book, but it does sound very interesting. I am going to have to enter your giveaway for a chance to win a copy! I have to read this novel! I, too, loved The Winter Sea. My first Kearsley was Marianna and it was great also. Sounds like a great book, and a new one to me. Thanks for the chance at winning. I am loving these forgotten treasure posts. Thank you for making yours a giveaway too. I must now mull over what book I would choose.. I've seen this book around before (can't remember if it was on your blog or Amazon) and wanted to read it. I still do, even more so now. I'm alittle busy with interviews ect. This book sounds amazing! I'm definitely entering the giveaway. Even if I don't win, it's going on my TBR list, thanks so much! I'm so excited to see Winter Sea is being released here! This sounds marvelous! I've entered the giveaway. The Shadowy Horses was my first book by Susanna Kearsley and I loved it so much that it sent me desperately searching for her backlist. Hi Marg, If I entered this giveaway twice, please forgive me. BBAW has been so crazy, what with the giveaways and posts and then throw Blogmania in the mix and I don't know if I'm coming or going! I hope you won't mind disregarding a duplicate entry, if there is one. Honestly, it was completely unintentional! This books sounds so good...thanks for the giveaway! I have to admit I hadn't heard of Kearsley until recently but I just got a copy of The Winter Sea to review in December and now I'm really looking forward to it. This one also sounds great! Thanks for the giveaway. Tanabata, I hope you like it. I was lost in that book from the first few pages! Michelle, no worries. I will check the list to see if you are on there twice or not. Rosario, it was your review of The Winter Sea which had me wanting to read that book, and since then I have been reading through her backlist, and gushing about her books to everyone I can think of! Linda, I thought Mariana was a good read too. Danielle C, you are right. The cover doesn't quite fit the book in this case! Good luck everyone, and thanks for commenting.